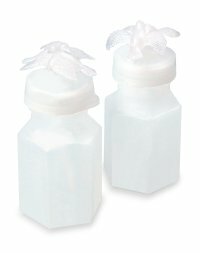 General wedding favors & supplies. Whether you are looking for bubbles, bells, or confetti, you will find it here. How about a confetti toss...rose petals or paper? The choice is yours! 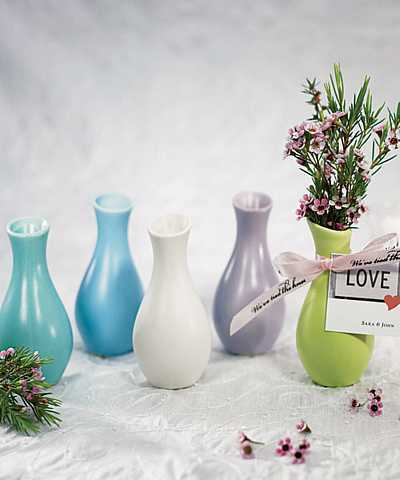 These make great wedding favors or wedding reception accessories. Bells There are so many uses for these all time favorites, wedding bells. 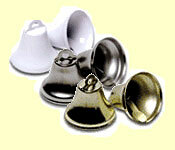 The bells help to create a festive wedding reception! The wedding bells can be use to make memorable bookmarks. I made bookmarks with the wedding bells that had a poem on it that instructed the guests to ring the bells when we kissed for the first time as husband and wife. This was a big hit! The guests talked about this for weeks! There are 24 wedding bells per box. 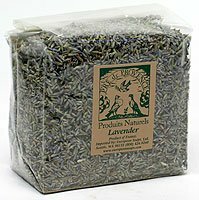 Also great for additions to wedding favors. This bride and groom confetti is perfect to decorate tables for weddings, showers, and engagement parties. You can also use the confetti to put into invitations. Price is per 6 oz bag of black and white bride and groom confetti. 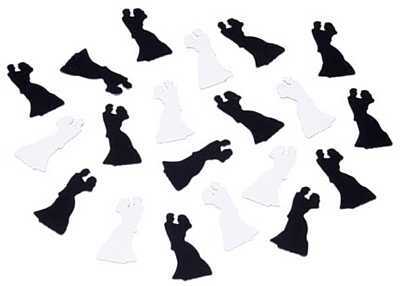 These novel heart shaped stir sticks or food picks in clear and black plastic are the perfect embellishment for special occasion cocktails and hors d'oeuvres. Price is per set of 12 pairs of bride and groom swizzle sticks (6"H) or 15 pair of bride and groom picks (4.5"H). Minimum order is 2 sets. 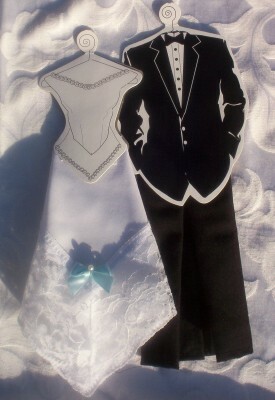 This really cute novelty bride and groom hankie set make great novelty favors and also great placecard holders. Just write your guests names and table on the cardstock jacket and corset. You can easily personalize by adding personalized labels or writing a special message on the cardstock. The bride's hankie has a white poly/cotton skirt featuring a blue bow, which can easily be removed. The groom's hankie has black poly/cotton pants. Price is per set. Bubbles - Butterfly Bubbles Bubbles have never looked so cute. 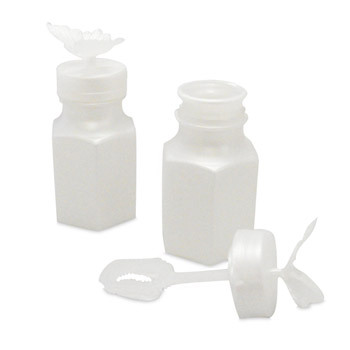 These butterfly bubbles have a butterfly on top, these slender bottles will be a treat at any wedding. Box contains 24 bottles of butterfly bubbles. Price is per box of 24. The butterfly bubbles also make cute wedding favors. Bubbles - Cake Bubbles Bubbles have never looked so yummy. 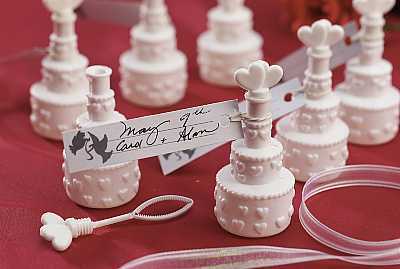 These cake bubbles are shaped like a tall wedding cake, these slender bottles will be a treat at any wedding. Box contains 24 bottles of wedding cake bubbles. Price is per box of 24. The wedding cake bubbles also make cute wedding favors. Bubbles - Champagne There are so many uses for these all time favorites, wedding champagne bubbles. The champagne bubbles help to create pictures! There are 24 champagne bubbles per box. These also make great wedding favors. Bubbles - Champagne Glass Break out the bubbly! 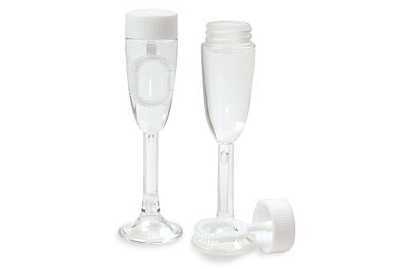 This adorable champagne glass bubbles favor features a flute-shaped bottle filled with bubbles, with a white top that looks like foam. 3 3/4" h. Champagne Glass Bubbles Price is per box of 24 champagne glass bubbles. Bubbles - Daisy Bubbles Bubbles have never looked so cute. 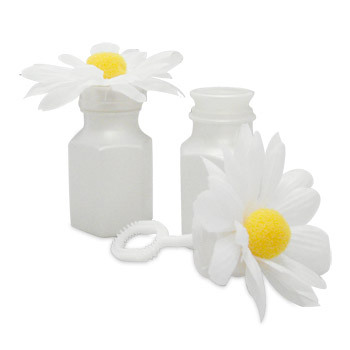 These daisy bubbles have a daisy on top, these slender bottles will be a treat at any wedding. Box contains 12 bottles of daisy bubbles. Price is per box of 12. The daisy bubbles also make cute wedding favors. Bubbles - Double Heart Cake Bubbles Bubbles have never looked so yummy. These cake bubbles are shaped like a tall wedding cake, these slender bottles will be a treat at any wedding. Box contains 24 bottles of wedding cake bubbles. Price is per box of 24. The wedding cake bubbles also make cute wedding favors. Bubbles - Dove There are so many uses for these all time favorites, wedding bubbles. The dove wedding bubbles help to create pictures! There are 24 wedding dove bubbles per box. Price is per box of wedding dove bubbles. Bubbles - Hearts Bubbles Bubbles have never looked so yummy. These double hearts bubbles are perfect for the perfect pair! Double hearts! . Box contains 24 bottles of double hearts bubbles. Price is per box of 24. The double hearts bubbles also make cute wedding favors. Bubbles - Plain There are so many uses for these all time favorites, wedding bubbles. The wedding bubbles help to create pictures! There are 24 wedding bubbles per box. Price is per box of wedding bubbles. Bubbles - Wedding Couple Bubbles have never looked so cute. 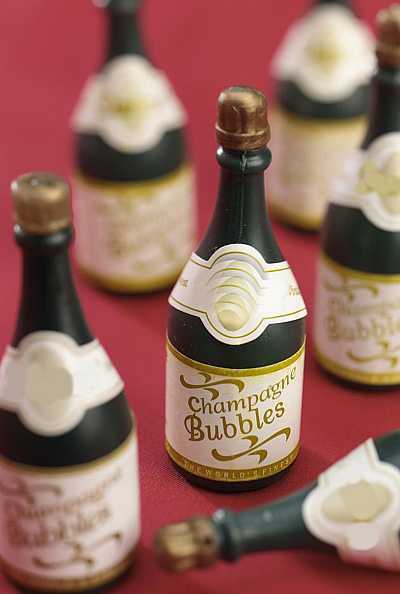 These wedding couple bubbles have a cute couple on top, these slender bottles will be a treat at any wedding. Box contains 24 bottles of wedding couple bubbles. Price is per box of 24. The wedding couple bubbles also make cute wedding favors. Bubbles - Western Having a western-themed wedding? Blow 'em, cowboy! 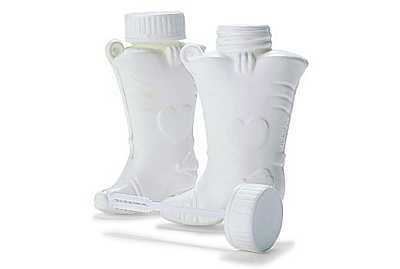 Kick off the celebration with western bubbles blown from these white cowboy boot bottles. Makes a great favor. 3" x 1 1/2". Western Bubbles . Price is per box of 24 western cowboy boot bubbles. These chrome candy scoops are perfect to give guests! They can be put at the candy buffet table for "A scoopful of love". Or tell your guests to "scoop one up" and take home! 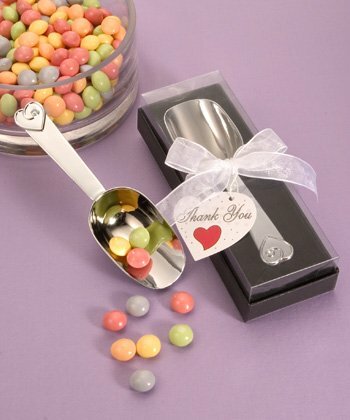 The candy scoops are perfect for showers, weddings or any special occasion. 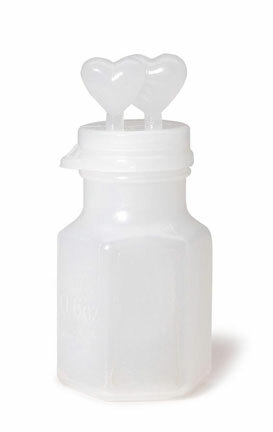 Each scoop measures 5"L and has a single rhinestone embellished heart design at the tip of the handle. Each candy scoop is packaged in a deluxe box and tied with an organza ribbon. Minimum order is 24. Price is per scoop. Coaster Greeting - Bride Toast Toast a friend with a coaster greeting that you give/send. Letterpress printed on genuine coaster stock. With chic graphics on the front and an irresistible greeting printed on the back, your guests will love these coaster greetings. 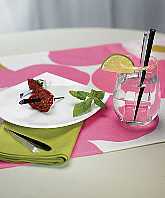 Great for parties or receptions, or just an anyday greeting. Back reads: Here's to the bride to her tears and her laughter to the man whom she loves and to happily ever after. Includes one 4.75" coaster greeting and one 5" square kraft brown envelope for mailing Minimum order is 10 coaster greetings. Price is per coaster greeting. Coaster Greeting - Tying the Knot Toast a friend with a coaster greeting that you give/send. Letterpress printed on genuine coaster stock. With chic graphics on the front and an irresistible greeting printed on the back, your guests will love these coaster greetings. Great for parties or receptions, or just an anyday greeting. Back reads: To marriage and love To laughter and cheer To the happy new couple And to many happy years Includes one 4.75" coaster greeting and one 5" square kraft brown envelope for mailing Minimum order is 10 coaster greetings. Price is per coaster greeting. 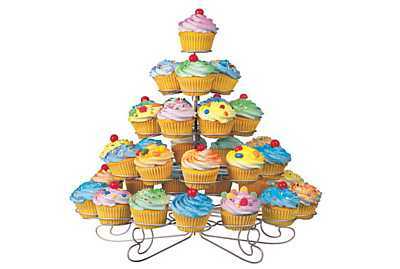 This cupcake stand will help your cupcakes create a modern and cheerful ambience to any wedding. With this tiered stand, they're easy to both present and serve. Trays of silver spirals securely hold the cupcakes in place and are then secured on to the sturdy metal base, creating a cascade of cupcakes and who doesn't love that? The non-toxic silver stand has a chip-free silver finish and its collapsible design allows it to be stored for future use--think baby showers and birthday parties! Price is per cupcake stand. Designer Heart Wedding Rice Keep with tradition by tossing these designer heart shaped wedding rice. 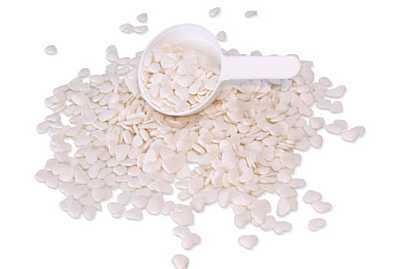 The heart shaped wedding rice is safe for birds and animals and won't roll under your feet when stepped on. Each bag includes enough heart shaped rice for 100 favors and a white scoop for measuring. Dissolves in rain. Price is per bag of heart shaped wedding rice. measures 2 1/4" x 1 7/8". 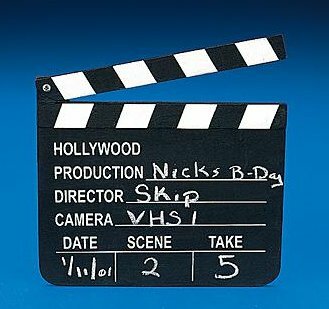 Director's clapboards are great centerpieces and also make great decorations for a Hollywood party. The director's clapboards are made of wood. Use chalk to personalize. Chalk is not included. 8" x 7". Price is per director's clapboard. These everlasting bubbles last and last, because they've been specially designed to form solid coatings when they're blown. The 4 1/2" long, slim bottles make fun favors and the tops of the wands are heart shaped for romance. 24 bottles per package. 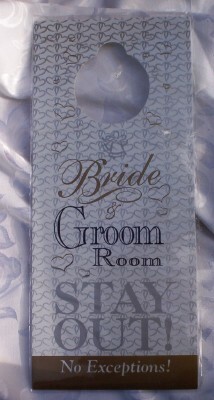 These honeymoon door hangers say it all. These are really cute gifts to add to the couple's gift. The little heavy cardstock door hanger lets everyone know not to knock! 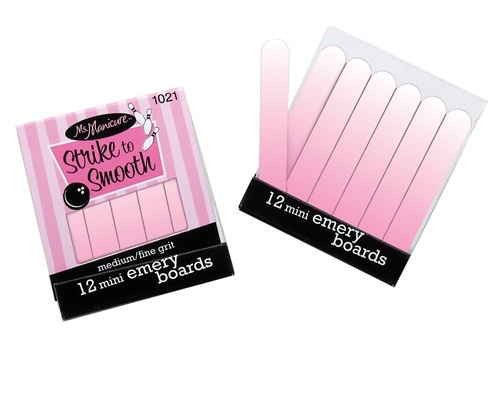 This cleaver matchbook emory boards is the perfect gift for your bridesmaids or bridal shower favors. This cute matchbook contains 12 mini funky colored emory boards. These emory board matchbooks are perfect for those little emergencies. They fit perfectly into your purse or bag, or even your pocket if you are really on the go. ~2.5" L & W. Each emory board measures ~ 1.75" x 3/8". Price is per emory board matchbook favor. Must order in increments of 12. 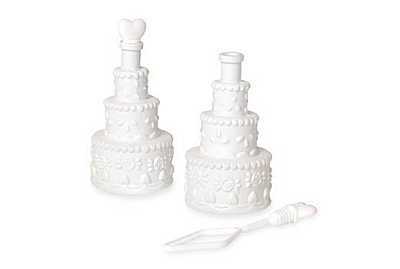 These mini wedding themed salt and pepper shakers are so cute! They are gift boxed, so they are ready to give. 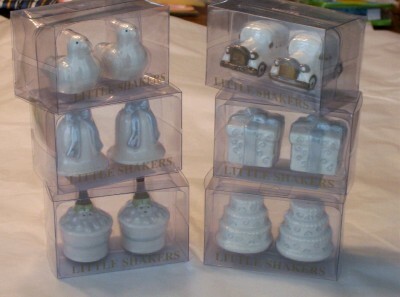 The set includes, doves, wedding cakes, champagne, gifts, wedding cars, and bells. 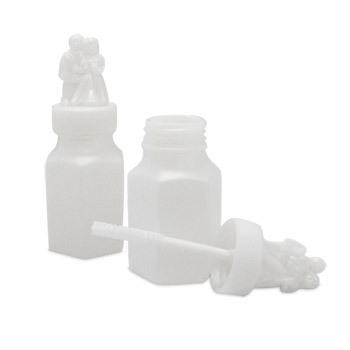 Price is per set of 6 wedding salt and pepper shakers. 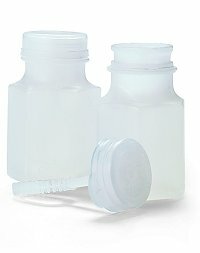 This category has a total of 40 products divided in 28 per page.